Building warrants are required by law for all internal and external alterations. These warrants must be in compliance with the building standards. Before any work is carried out at your property in Paisley you must apply for a building warrant and have it granted by the local authority. 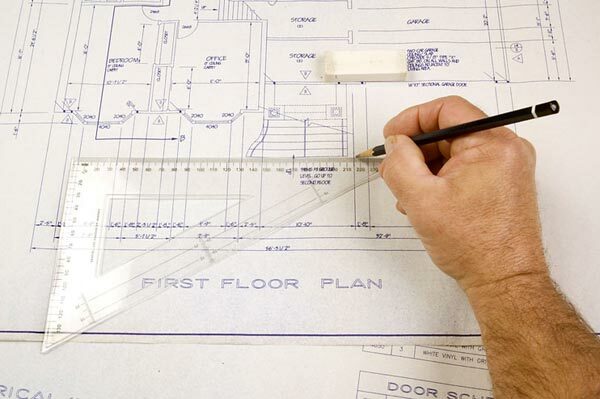 Building standards will ensure that all new or alterations to buildings comply with the regulations so if your property fails to meet the requirements then your plans won’t be approved which means that you are unable to go ahead with building work. If you were to then go ahead without permission then this could potentially lead to the work being demolished and/or you having to make amendments, this is time consuming and will cost you a lot more money than anticipated. The full process of obtaining a building warrant takes on average 4-6 weeks! Throughout the full process of working with our company we will keep you up to date with all of the latest developments, so you will be fully informed at all stages. We charge competitive prices for building warrant drawings and would be more than happy to discuss the cost with you or anyone else in Paisley who is interested in using us. The price that you are quoted from us is the price that you will be expected to pay too, so there are no hidden extras that you have to worry about. Just give us a call or fill out our contact form and we’ll get back to you to discuss this service in greater depth.